All countries that constitute Latin America are developing countries; approximately 124 million of its urban inhabitants live in poverty. This number is manifested in the city-space, through “informal” fabric (favelas, barrios populares, villas miseria, slums). After knowing this general information one may ask: Is this urban structure “modern”? Agreeing with Marx I say yes, because in the modern life “everything is pregnant of its contrary” (center-periphery; formal-informal) and “all that is solid melts into air”; thus, modernity is an open-ended process . Cities are the figure of modernity; they represent an allegory of the crisis; although, from there we can build “new urban horizons”, since the idea of modernity is based on changing and evolving. The urban modern movements were developed in a multiplicity of regional forms, which were exported through colonization process, strengthening the modernizing world system (it means the relation between modernization-industrialization-capitalism). The crisis of capitalism resulted in a crisis of modernity which provoke to the generation of new forms of modernization (post-modernity) as a tool to redirect the perspective and create practical and theoretical tools that would give meaning to the new world revealed. The urban crisis has exposed weaknesses and deficiencies of the theories and urban practices used till this time (Chicago School). The new urban efforts where expressed through the Fordist- Keynesian metropolis, the proposals of Engels and the main concern about the reproduction of poverty and inequality, among others . Urban planning remained as the key piece of spatial re-structuration, despite the fact that it was seen as a tool at the service of the capital and the state. The urban organization described by the Chicago School did not disappear, however, its centralized structure was blurred, and the city-space was fragmented; after that, a process of recentralization (market and state) occurred, the peripheral fabric increased. Since the latest twentieth century, studies on the subject of urban, point out some global transformations (urbanization, informal urban development, increase of urban inhabitants (megacities: modern cities), that force us to rethink the nature of human settlements and the future of the cities. The contemporary metropolis are characterized by traits of hypermodernity, but also by a sharp inequality, the megacity is connected to the outside through global networks and locally disconnected; the global society is defined by the existence of the space of places and the space of flows, the timeless time and the hope of the glacial time, the electronic home, and the virtual reality as an everyday matter; the coordinate reference system has completely changed. The “modern” power acquires new geographies. In the current times, the question of identity seems to be in the center of the discussions. The connection between identity and cultural products (including cities) is clear. However, in a world that is local and global at the same time, with a society based in networks, “moving” in the space of flows more than in the space of places, a critical review of this relation, and the concepts related with it, looks necessary.Among the current circumstances, the construction of the identity could be a complex process since it derives from a multiple and contradictory sources. Hence, it seems that identity is permanently about the recognition of the difference, and from there, to establish the sameness. People could have plural identities even with divergent positions. Talking about proto-cities in a “post global” era seems contradictory; although, if we consider the “informal” urbanization or resisting communes as “border spaces”, perhaps it could be possible the re-modernization of the contemporary Latin American metropolis. 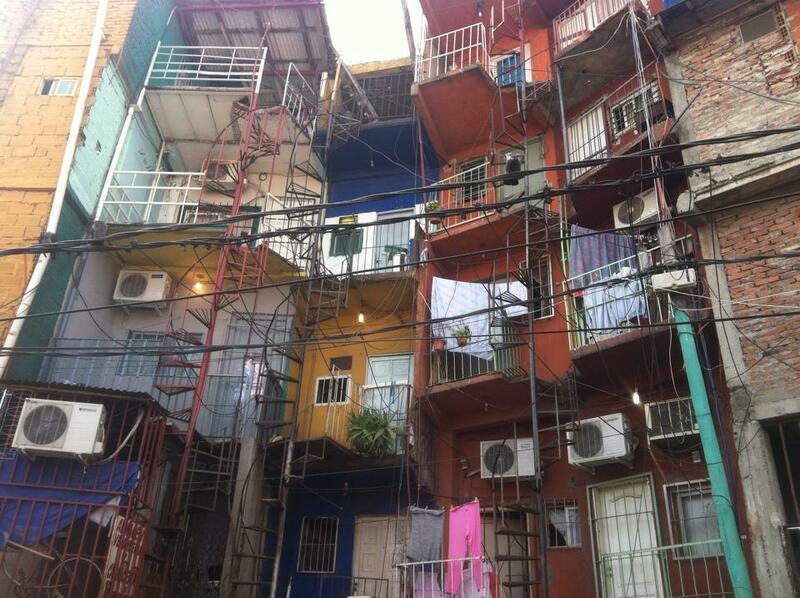 My ongoing hypothesis is that the future cities will “born” from the favelas, barrios populares, and villas miseria. As “modern borders”, they are informal-formal spaces of contradictions and ambiguities; they are contingent zones where the happening allows new ways of bonding. Peripheral settlements are the homeland of the “outsiders”, they use “double-cross” glasses to see the world; here, multiple and shifting are the key cultural elements; the possibility of future is always present, and it is a multi-layer future. The idea of “modern” proto-cities is based on considering the force generated from the stimulation of the urban agglomeration (synekism) as a fundamental piece for the comprehension of the urban phenomenon; hence, we can change the conventional sequence of the social organization and place the city before the Agricultural Revolution, causing not only the development agriculture itself, but also the emergence of farming villages, rural life, shepherds and farmers, the writing, class formation, and the state. Thus, we may continue the human development process: proto-urban —urban/rural –- urban –- neo proto-urban — future cities — __________ —; the peripheral fabric (border settlements), should be considered the new proto-cities of the twenty-first century. For the spatial professionals of the south-continent, reinterpret the idea of border is urgent; the contemporary cities are territories made up of a few centers, surrounded by “fluctuating peripheries”. For instance, according to the forecasts, Latin America is the most urbanized region in the world, concentrating 80 per cent of its population in cities, 14 per cent of the urban population is concentrated in megacities, while more than a half of urban inhabitants live in “secondary metropolis”. The territorial organization of cities, states and nations is in a concentric way. As long as the cities were growing, peripheries were appearing; borders are constantly delocalized; in the twenty-first century, the periphery is located at the center of the city as well as on its margins. 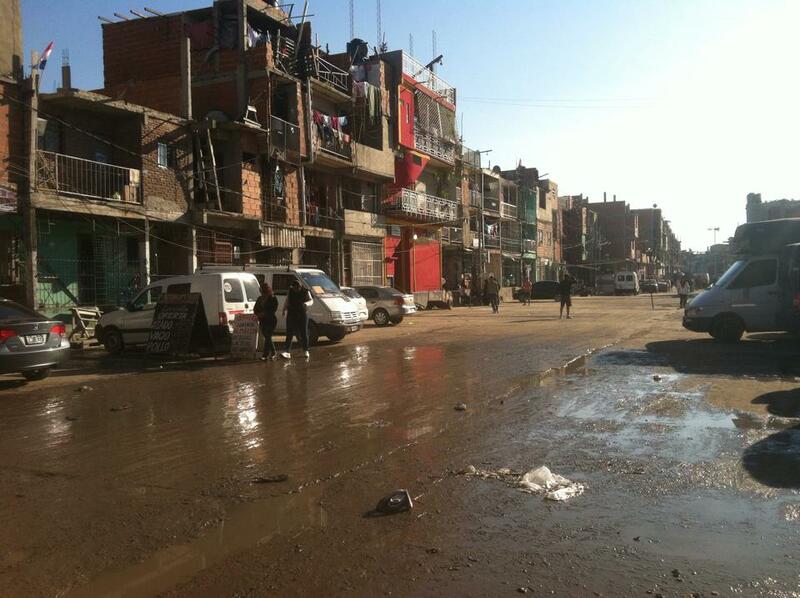 Regardless the geographical position of the peripheral settlements, their everyday life is based on “border culture”. In many Latin American cities, the first boundary area was blurred by new urban development (infrastructure, housing, commercial areas, communication bases and channels, financial citadels, governmental buildings, among others); the first peripheries constitute the mobile-borders, and the linking elements between megacities and secondary cities. As I mentioned before, multiple and shifting are the key cultural components of border spaces; thus, hybridity and hyper-hybridity are the condition for the construction of peripheral identities. “Border” inhabitants choose fleeting and transient elements of spatiality, it means, everyday life activities and flexible-surfaces, to express themselves . Despite the fact that urban-architectural narratives have been privileging spatial experiences, the obsession for physical materiality (real/real), purity (conventional tradition), and objective functionality (formal planning), although remains; the professional proposals are based on material evidence that can be measured and controlled. Hence, peripheral settlements are residual areas that need to be rescue from chaos, ugliness, and inefficiency. In the second decade of the twenty-first century, this logic doesn’t make any sense. The development of tools to allow us the comprehension of the “modern” proto-cities, it seems necessary in order to participate in the construction of new geo-political institutions. Note: Images of Villa 31, Buenos Aires, Argentina. Photos, by Sergio Salazar. Berman, Marshall, All That is Solid Melts into Air, Ed. Simon and Schuster, Nueva York, 1982. Soja, Edward W., Postmetropolis: Critical Studies of Cities and Regions, Malden, MA, Blackwell, 2000. Manuel Castells, Communication Power, Oxford University Press, Nueva York, 2009. Nezar AlSayyad, Traditions: The “Real”, the Hyper, and the Virtual in the Built Environment, Ed.Routledge, USA, 2014. Diana Maldonado, Delocalize the Concept of Border: From Territories to Virtual Places. (The South Side of the US-Mexican Border). UANL / UC Berkeley, 2014. (research in progress).